Smoking stinks. It kills about 5000 people in New Zealand a year, and causes or contributes to many ongoing health problems. Plain packaging of cigarettes has almost universal cross-party support in Parliament; all but one MP (John Banks) voted for the legislation in its first reading, so it has progressed to the Health Select Committee for consideration. I agree. The profits of companies must never be placed above health and sovereignty. But opinions are not enough when it comes to the fine print of trade and investment agreements. The National-led government says it won’t enact the plain packaging law until the outcome of the Australian legal battle is known, but in the meantime why don’t they support Malaysia’s proposal to remove tobacco provisions in the TPPA? Or just pull out of the TPPA altogether? As a long-time Soil & Health member I hold our Association’s timeless motto firmly in mind and apply it to any questions I am pondering. Will the TPPA support and promote healthy soil, healthy food and healthy people? Since it’s being negotiated in secret, it’s hard to know. A lot of the environment chapter (leaked by Wikileaks) looks fine, but critics of the TPPA with legal experience say it could result in companies suing governments for compensation for loss of profits or business opportunities. So Monsanto might sue New Zealand if we refuse to allow their GE seed – in an overseas tribunal with no right of appeal. Critics say the leaked text reveals that any protections for the environment would be weak, and that the USA is using bullying tactics to pressure smaller countries. Then there is health: 60 health professionals and academics wrote to Health Minister Tony Ryall, urging him to ensure that public health is upheld if the TPPA is signed. They warn that provisions for private investors could deter future regulatory action on public health issues, such as tobacco, alcohol, unhealthy foods and advertising. The TPPA would likely lead to medicines being more expensive. The TPPA sounds like bad news for New Zealand, and I’m sceptical of the touted economic benefits. It’s election year and this one of the most important issues facing us. Find out more! See below. Meanwhile, it’s harvest season and my kitchen is full of buckets, baskets and bowls of potatoes, apricots, apples and red broad bean seed. A wet Dunedin summer led to the garden being invaded by slugs, and brown rot affecting the apricots – fortunately enough of them missed it. 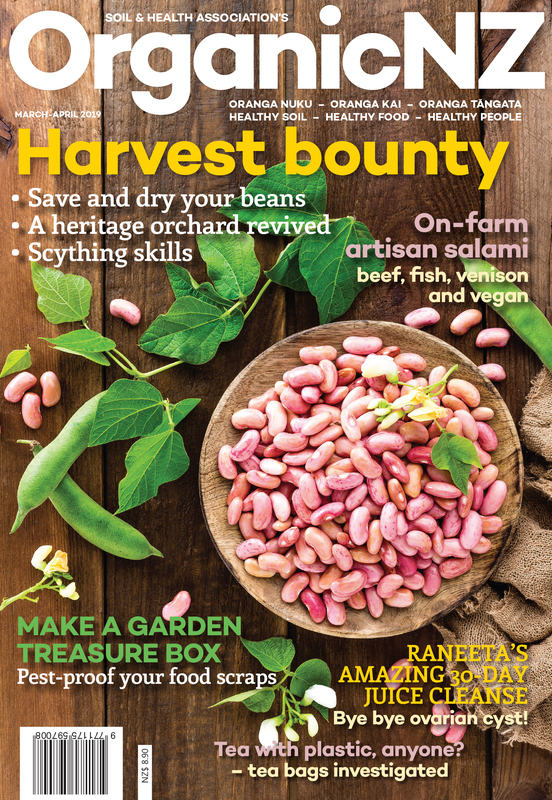 Now that another magazine is finished I’m off to make apricot chutney! 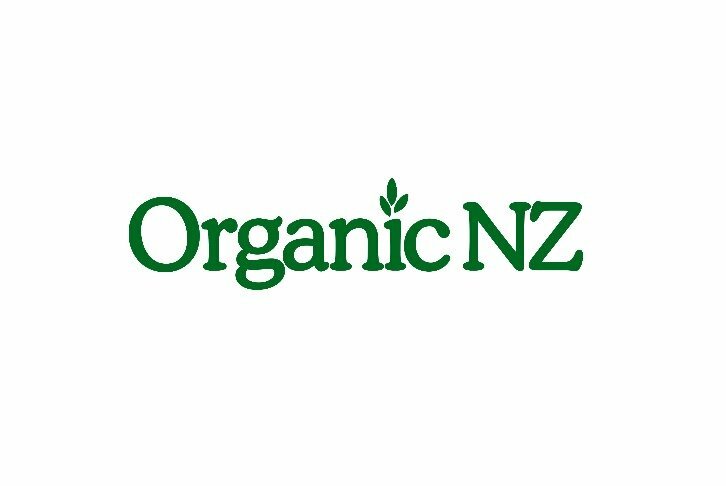 I hope you’re enjoying the fruits of your labour, and another issue of Organic NZ. TPPA: What can you do? (or freepost to Parliament Buildings, Wellington) and your local politicians telling them what you think.